Fully customizable CHDK display, info placement, user-colors, fonts in menus, etc. And other features too numerous to mention here. See the CHDK Firmware and Allbest Firmware usage pages for a more complete overview. These features work on all camera models supported by CHDK. The camera does not need to have "related" or "inherent" features already presentCHDK will add the required functionality. New features are accessed through CHDK-specific menus, rather than the default camera menus. As CHDK is continually evolving, new features are often added. Thus, some of the listed features depend on you using a version of CHDK that has those features. Check out the Downloads page for information on finding the right build for your needs. Please note that every camera model, and almost every firmware revision requires its own unique port. There is zero chance a port for one model will work on another. For the development status of not-yet-supported cameras, see For Developers. It is likely that any Canon Powershot based on the DIGIC II, DIGIC III or DIGIC 4 platforms can be supported, although it is impossible to be sure until someone starts work on a particular model. If your camera model is not listed here then there is no CHDK for it at the present time! See also Unsupported Cameras, Adding support for a new camera and Q. My camera isn't ported yet. Is a port planned ? When will it be ready ? How can I help ? Canon DSLRs. See the DSLR development forum and Magic Lantern for the development of other firmware addons for these cameras. Digic DV based Canon camcorders. See Category:Camcorders and this thread for some information on these cameras. Cameras from other manufacturers (Nikon, Samsung, Panasonic etc...) See the Non-CANON cameras development forum for discussion of reverse engineering other cameras. A. CHDK ports don't happen on a schedule. There is no plan, and there is no CHDK organization that specifies which port happens next. If there is work being done on a camera, there will be a development thread in the CHDK forum and maybe something about it on that model's wiki page. If there is no mention of development activity on the wiki or forum, there is no reason to ask about that camera's status: It is not supported, and there is no way for anyone to know if or when it might be supported. Your guess is as good as ours. A port of a new camera model happens if and only if there is a developer who has the camera and sufficient time, motivation and skill to complete the port. If this describes you, then you may be able to help. Start by reading For Developers. You can also obtain a firmware dump of your camera to submit for future developers, and once a port is started, you may be able to help with testing. Finally, please do not volunteer as a tester hoping that will attract a developer to work on your camera. If you are actually willing to spend hours and hours trying different builds of the CHDK software and live through crashes and reloads and partially working software, and then document in detail what you discover, the developers will welcome your help. But testing does not mean "I want to try a fully working version of CHDK on my camera and let you know that it works." For Windows, Mac and Linux users there is a tool available to identify the firmware version of your camera and automatically download the right build - ACID. There's also a German and Spanish version. A. To get the real version number for your camera, you need to have a file called ver.req placed in the root of your SD card. Note that ver.req is just an empty file - it needs to exist but does not need to contain anything. Start your camera in playback mode. Press and hold FUNC./SET followed by the DISP button (on some cameras, the second key may not be DISP. For example, D10 uses DOWN The cameras wiki page should specify if another key is used.) Advanced firmware information should be displayed, including the real firmware version (something like GM1.XXY). create a file called ver.req or vers.req in the root directory of your SD card (see below). IMPORTANT: Note that it is spelled ver.req or vers.req, as in VERsion REQuest or VERSion REQuest, that Q is NOT a G, Type it correctly!!! press the func set+disp. buttons together (i.e. press set first, keep holding it down, then press disp.). You will see Model Name, P-ID, a string like Firmware Ver GM1.00E, Error State and Firmware Date. The 1.00E part is the firmware version. when keeping func set hold and pressing disp. twice, the line "Adj Ver.00X.00X appears. when keeping func set hold and pressing disp. three times, the line "Adj Ver.00X.00X appears together with IS Firmware Version and IS Parameter Version when having a card inserted with ver.req. When having a card with vers.req inserted, the numbers of "Total Shoot", "Open Shutter" and "Close Shutter" appear. For certain camera models, make sure that the last file on your card is a still image, not a movie clip. If it is a movie, the directions may not work on all cameras. Just take an image of anything, try again and it should work. For the SX200 camera, the A480, the SD1200IS (IXUS95IS), the SD780IS, and the D10, press and hold the func set button and while holding it press and release the garbage/self timer button (by moving your thumb down a bit). You can press the button to a maximum of 3 times while still holding the func set button to get different information at each time (the first time you press it, you get the firmware version). Download Card Tricks and start it. Select card, click Format as FAT: done, ver.req is now on your card. Note: this will only be done if you have memory card up to 4 GB. and copy the ver.req file to your SD card. Another way to create this file: make an empty text file with Notepad and rename it to "ver.req". Yet another way to create the file is to open the memory card in My Computer, right click inside the window and select New... and then Text Document. An empty text document will be created and you can rename it to "ver.req" (be sure to have windows display the file-extension, otherwise it will become "ver.req.txt"). Use the Linux/*nix method above in the Terminal application, or, open a blank document in TextEdit, then choose save, and save as ver.req , then select the root folder on your memory card from the menu provided. Important: in the Save drop-down menu, change plain text encoding from Western (Mac OS Roman) to Unicode (UTF-16), and uncheck "if no extension is provided, use .txt" (if you don't see these options then you need to select "Make Plain Text" from the Format menu). Then click on Save. Note: your camera's firmware version is NOT 1.0.0.0 or 1.0.1.0 ! It's a number that looks similar to this example: 1.01e. If you get a number like 1.0.1.0, then you did not do it properly and probably the ver.req or vers.req file in the root directory of the inserted SD-card is missing. Create that file or move/copy it to the card and try again ! In cameras that support vers.req, ver.req may no longer work, and all you'll get when you press [SET]+[DISP] will be the time clock. If this happens, you need to create "vers.req" instead of "ver.req" on your SD card (or create both to be sure). Then pressing [SET]+[DISP] will get you the version information instead of the time clock. Most newer cameras (e.g. the G9 and the G10) support both, vers.req and ver.req; having one or another on the SD card will provide you with two independent sets of data after you press [SET]+[DISP]. Having both files on the card at the same time will make camera act as if there is only vers.req file present. A. Changing the firmware version of a camera requires a firmware update file from Canon. A typical Canon camera will usually be manufactured with several different firmware versions over the life of the model. However, Canon very rarely issues firmware update files unless a serious bug is discovered. What you have on your camera is most likely what you are stuck with. Official Canon firmware updates (if available) can be found here at the Canon website or in this list here. Note: You cannot update your firmware from a CHDK "firmware dump". These PRIMARY.BIN files are only useful for CHDK development purposes - you cannot load them back onto a camera. Attention: firmware updates will permanently change the firmware of your camera (unlike the CHDK program, which is only temporary). If anything goes wrong during the update process (for example because you tried it when the batteries were low), you may end up with a dead camera. A620 Firmware : information about an unofficial upgrade of A620 firmware from an early version to version 1.00f can be found at this message. The 1.00f firmware mentioned can be obtained from this link. Please note that using one of these updates may void your warranty. If you do update the firmware in your A620 be sure to delete the file (PSA620.FIR) from your memory card before you run CHDK, otherwise CHDK won't run. A. First, please bear in mind that CHDK comes with no warranty for any use; you use it at your own risk. What follows is just a few thoughts, and is not a legal opinion. Many believe that using the CHDK does not harm your warranty, since it is said to be loaded into the memory only temporarily (turn off the cam and it's gone completely) and that it leaves the original camera firmware untouched. Canon Tech Support says: "Unfortunately, any upgrades to the software of the camera not performed by an authorized Canon Repair Facility, would void the warranty." ... and ... In further discussion with Canon about this specific hack, their response is: "If it is not Canon firmware the warranty would be void." Is it an "upgrade" of the camera firmware when the firmware remains untouched? It's up to you to decide. Don't use it if you are not willing to take the slightest chance. Many many people have used CHDK on their cameras (including some very experimental versions) and there is no report of any permanent malfunction. Thus, CHDK appears to be quite safe to use as long as you make sure that it's the CHDK and not a real firmware update (A real firmware update which is not an official Canon update could alter or completely screw up the camera and will void the warranty). Addressing their second comment (i.e. "if it is not Canon firmware"): CHDK is NOT firmware. By very definition, FIRMware is software that remains in the memory of the device when it is not using any power-source. 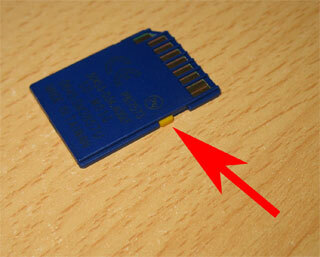 NOTE Under some circumstances, a memory card is not be needed to determine that CHDK has been run on the camera. The canon firmware writes a log to internal flash when a crash is detected, and this could contain signs of CHDK. > This is to report that I had to send in my A710 IS for repairs when the play/capture switch stopped functioning reliably. I had used the CHDK but did remove the SD card before posting it. The letter I received along with the camera indicates that some parts were replaced, i.e. it was a hardware defect. The camera was under full warranty and I did not have to pay for the repairs. This dates back around March 2007.
provided by the native camera firmware, it provides for example an "always on" full range Battery indicator. So does this CHDK software violate the warranty of my camera? can be of any further assistance with your A720 IS camera. please note - under most countries' laws, service agents cannot refuse warranty work unless they can prove that your actions outside the warranty contract have caused the malfunction. Short answer: Yes. It is unlikely, but theoretically possible. As stated above CHDK comes with no warranty for any use; you use it at your own risk. CHDK is created by reverse engineering an undocumented system that directly controls hardware. Because of this, it is impossible to be certain that it is completely safe. There have been no confirmed cases of CHDK damaging a camera, but in some cases it would be very difficult to distinguish between coincidental failures and failures caused in part by CHDK. By commanding physical hardware to do something it was not designed to do. For example, it is possible to command the lens hardware to move when the lens is closed. It is also possible to move lens hardware beyond limits allowed by Canons firmware, using scripts or overrides. See UBASIC/Scripts:_Tele-Macro-Mode and Talk:UBASIC/Scripts#Tele-Super-Macro_Mode_Comments. It's worth noting that neither of these cases have resulted in actual damage, and both required direct input from the user. Any extreme override that relates to physical hardware may also fall into this category. By overwriting the internal flash ROM where the Canon firmware is kept, rendering the camera un-bootable. Since CHDK does not ever intentionally write to internal flash, it would take an extremely unlikely sequence of events to make this happen. By sending invalid information to a Canon function that ultimately causes something to be written to internal flash ROM. If you are concerned about this, you can minimize your risk by avoiding untested development builds (test builds posted on the forum, early betas, new hardware related features), being careful about what scripts you run, and avoiding extreme overrides. Ports that have been in circulation for a long time are likely to be safer than brand new betas. The page Camera failures suspected to be caused by CHDK exists to track suspected failures. The discussion above only refers to CHDK proper: builds from the current CHDK development tree for point & shoot (Powershot, Ixus etc.) cameras. Other experimental projects, such as hacks for DSLR cameras, DV recorders, and cameras from other manufacturers are discussed in the forum, but they use different techniques and may have different risks. It is the users responsibility to fully read and understand the development thread of any experimental hack before using it. The "German" versions of CHDK (called CHDK-DE), which are very similiar to the stable and development versions of CHDK. An early offshoot of CHDK called SDM (for Stereo Data Maker) devoted primarily to stereo photography and maintained by microfunguy. In addition, CHDK really consists of two major portions: the CHDK program itself, and many user-developed "scripts" that run on the CHDK platform. In the CHDK wiki and forum, you may find references to historical versions, such as GrAnds build (the original CHDK), MX3, Allbest, MoreBest or Juciphox. The features from these have generally been incorporated into the current stable release and they are no longer actively maintained. Still confused? Start with the CHDK stable build from the Downloads page. A. An "Autobuild" version is a version of CHDK that is still under development. As the developers compile new versions to test, their efforts are "automatically built" and made available on the web for beta testing. As with most beta software, not all new features have been fully tested. Some features may not work with all camera models. Your feedback and bug-reports concerning these new builds are welcome on the CHDK forum. Newcomers may find it more comfortable to not use an Autobuild, unless it is necessary to run CHDK on your camera. Although CHDK does not make any changes to the actual firmware on your camera, it may be possible to cause mechanical damage to your camera, but this is extremely unlikely due to the safeguards put in place by Canon - most people prefer to work with software that has been thoroughly debugged. A. The root directory is the first or top-most directory. If your SD card has the drive letter "K", then the root directory is "K:\". Q. Okay, but what is the root directory of my SD card (when using a Mac)? A. It's what you see when you double click the SD card icon on your desktop and a window opens. A. You will need an SD card reader connected to your computer (or installed in the computer) to install CHDK. This is the easiest and most convenient way to install CHDK. Another option is to use a camera which behaves as a USB Mass Storage device. Even if your camera does not support this feature, you may be able to borrow such a camera from a friend for the installation procedure. Finally, using the PTP protocal and a program like CHDK_PTP.EXE, it is possible to load CHDK directly onto your camera. However, this typically is not a good way to try and install CHDK if this is your first time. Note : many cheap readers have no sensor for the write protection switch on the card, and this is great. Otherwise, you have to switch the card to "unlocked" everytime you want to put something on the card. A. When you use the firmware update method to load your camera with CHDK, it doesn't actually change the firmware. Because it is just a memory-resident program, it only remains in the camera's memory until the camera is turned off. You need to reload CHDK each time you start your camera. If something goes wrong and camera does not respond, you only need to switch the camera off or remove the battery (and perhaps delete CHDK from the memory card) to return to the original firmware. Note : CHDK also has the ability to autoload (see the next answer). If you remove the memory card containing CHDK or disable the "SD Card Lock", CHDK will no longer load the next time you start your camera. A. You probably should start by looking at this page : Prepare_your_SD_card and use the STICK utility linked at the top. Copy the files PS.fir (or PS.FI2) and DISKBOOT.bin into the root folder of your SD card (if you have not already done so). Load the CHDK program as described above. Press Menu to enter the CHDK main menu. Go to "Debug Parameters" or "Miscellaneous Stuff" (in more recent builds) in the Menu on the screen. Reinsert the card back into the camera. From now on, CHDK will load automatically on startup until you unlock the card again. You will have to write-protect your SD card everytime you want to use CHDK, but this will still allow you to take pictures. If the camera still reports that the SD-card is locked, something is missing, CHDK is not loaded. Note: On cameras released prior to 2011 (vxworks or DryOS < r47) autostart only works on FAT16 or FAT12. This means on these cameras, cards up to and including 2 GB will work, cards larger than 2 GB won't (except 4 GB with non-standard FAT16 format, see Note2). If your model has multi-partition support, you may be able to use larger cards through the use of a small boot partition. Note2: 4 GB cards can support the autoload feature if they are formated in FAT16 manually. To format SD-card in Windows command line just type 'format X: /fs:fat' (where X: - a drive letter of mounted SD-card). But be aware that the formatting of 4 GB cards in FAT16 leads to non-standard 64K cluster size. The correct support of such cluster size is not guaranteed, but no problems have been reported so far. For Windows GUI formatting support, you will not be able to use the standard Windows GUI to format the card as FAT16 because of the cluster size issue. However, CardTricks will format your card as described, formatting with a Windows command prompt (cmd shell) is also possible. Autoload is reported to sometimes also does not work if the camera is switched on directly in record mode. This is very rare. A1. The simplest way is to just unlock your SD-card. A2. Delete the file DISKBOOT.bin from your flash card (or rename it). A. Here is a list of important key settings and shortcuts. Have a look at the CHDK User Manual for detailed explanations. Note that you can press and hold down certain keys to simulate pressing this key multiple times, just like your PC keyboard. note Some cameras may be different from what is described below. Check the wiki page for your model. * See the Firmware Usage pages of <ALT> mode and/or Miscellaneous Menu on how to select and use the button of your choice for entering and exiting <ALT> mode. To run the script, press the shutter button while in <alt> mode. You can also stop it by pressing the shutter button again. If your script does not work properly, try to increase the "script shoot delay" parameter, which is a small time-delay after a shot is taken, before the next line of the script is executed. Some scripts also may require certain camera settings. For example the generic bracketing script: go to menu>review and switch it to "off". Use P, Tv, Av or M mode and activate the camera function where you want to have bracketing. For example: Activate the focus slider when you want to have focus bracketing. Activate the exposure compensation slider in P mode when you want to have exposure bracketing, and so on. A. CHDK supports two raw formats: DNG and "CHDK Raw". DNG is open industry standard, and is compatible with many standard image processing programs. To shoot DNG, you must first use 'create badpixel.bin' in the raw menu. See the CHDK_User_Manual#DNG_format CHDK User manual for more information. "CHDK raw" is not in any standard format. Technically it's not a format at all, it's just a dump of the camera sensor. This means that different models raws are in different formats, and programs which support CHDK raw need to be updated for new models. Some programs which do support CHDK raws from many models are listed in Software#RAW_Conversion. Note It is important to understand that the file extension is not the same as the file format. CHDK raws and DNGs are frequently saved with a .CRW or .CR2 extension, but they are NOT in Canon formats that typically use these extensions. In windows, file extensions may be hidden, and the "file type" display by windows is in fact the extension, not the format of the data inside the file. See the Raw page on the wiki, and the raw subforum for more information. A. Nothing is wrong. Many modern cameras correct for various lens issues in software before saving the image in a JPG file. RAW (including DNG) is the original image from the sensor so it doesn't include these corrections. You can use software on your PC to perform similar corrections. A. Yes you certainly can, although not every wish can be fulfilled. Please note that the CHDK is not able to change any standard behaviour of the camera, because it does not modify the original firmware. CHDK can just "extend" current functionality. In theory the CHDK can be ported on every Digic II - Digic IV camera, but this takes time and a firmware or firmware dump (which you might be able to provide if a firmware dumper is available for your model). If the new cam is very different internally/externally from already supported models, it would be very difficult to port the CHDK without actually having the camera, because heavy testing would be required. Video resolution larger than available in canon firmware. These require the changes in hardware part. If a feature that you have in mind hasn't already been requested or wouldn't be impossible to do, please feel free to suggest it in the forum . A. You may use exposure bracketing to take several different exposures; you then choose the best one, or, with tripod shots, you may blend them, average them, or whatever you wish. Also, exposure bracketing essential for making a high dynamic range photo. See these links for tutorials or try one of these tools: Photomatix (demo available), Traumflieger-DRI-Tool (freeware; no installation required; just load your pictures and click "start"), or Enfusion (freeware; minimalist GUI for Enfuse). You can use focus bracketing to increase the DOF (depth of field) of a photo using a method called "Focus Stacking". This is especially useful for macros, because often the DOF is so shallow that large parts of the picture will be blurred. Just load your pictures into CombineZM (freeware), click "Macro>Do Stack" and they will be combined into one photo with large depth of field. It has been recently updated so you may want to see what's new. There is also "Picolay" another freeware focus-stacking utility that seems much simpler to use. More freeware (and costware) focus-stacking utilities and tutorial links can be found on this page "Focus-Stacking Tools". See also, "DoF" Stacking using CHDK Focus Bracketing & CombineZM. For aligning bracketing shots it is best that you use a tripod and don't shoot moving objects, so the different pictures will match perfectly. In the event that you are using hand-held bracketed exposures and each frame is not perfectly aligned, you can often have success with a freeware utility called "HDR Alignment Tool" (download link and discussion). But for best results it's always better to start out with perfect alignment in the beginning by using a tripod. "HDR Alignment Tool" will, however, fix most all of your alignment problems admirably. A. If you are using programs like Remote Capture from Canon, "Cam4you Remote" (the best I've ever found! ~keo~), "PSRemote" (runs for over a year now, included is a dll and sample c code), or "Time-Lapse" (has a nifty geo position function to compensate for changing sunrise/set) they need to do a "hand-shake" with the camera when first connecting to the camera. CHDK's slight delay on boot-up might/will prevent these programs from connecting to the camera properly. Just remove your SD card and UN-lock (write-enable) the card to turn off CHDK's auto-booting feature. Or if not using the auto-booting feature, power-up the camera without CHDK running. These remote-capture programs should then connect just like they always had. Perhaps future versions of these programs might be updated for CHDK capable cameras so they will work in conjunction with it, vastly improving their own software's capabilities too by running complex/beneficial CHDK scripts remotely. Requests to the authors might help. A1. (wise guy answer) Yes, because you will use your camera more often! B. Some people measured the battery consumption rate and found that using the CHDK does not affect battery consumption (either not at all, or just minimally). It makes no difference whether the live histogram etc. is activated or not, because the CPU of the camera is always running (looking for keyboard presses in the loop) and the histogram is calculated even if it is not displayed. CHDK users also tend to half-press the shoot button more often than regular users, as this allows them to see not only the green/yellow rectangle, but also the histogram, zebra, etc. Keeping in mind that this also is constantly engaging auto-focus and other more power-hungry camera functions more often. If you are interested in the details about which camera mode consumes how much battery power, you can find the details here. USER OPINION: This is rubbish. After installing CHDK, the battery life on my IXUS 100IS dropped from lasting around a week of casual use to barely lasting a day. The notion that this is just an illusion caused by us users being too stupid to notice that we are using their cameras more is disingenuous and patronising. ANOTHER USER"S OPINION : I run CHDK on four cameras, do lots of script development and some core code development. I don't see the 80% reduction the previous user claims or anything like that. However, I will point out that CHDK disables the Canon autoshutdown feature, so if you don't actually turn your camera off with the switch when not shooting, your battery life will go down. It's based on the image preview or more technically, the liveview imagebuffer containing YUV data. I can't get my camera to take a 2-minute exposure even though I set it to 120 seconds. And why can't I get an ISO of 3200 when I set it for that? Also: Is there a list where I can compare CHDK-capable cameras to select one which will fill my needs based on its new and improved capabilities? Can i use the same *.cfg file on several sdcards and for several different camera models? A. Since mid-september 08 you can use any cchdk.cfg on any Versions of CHDK, including upcoming releases * - if not we will make an announcement or probably just rename the config file. You can use the same cfg on several sdcards without a problem - however you should NOT use a cfg from another camera model, i.e. a cfg from a G9 in an ixus - they are probably not compatible to each other. Also note that if you copy the whole content of an SD card to another sdcard in order to use it on another camera (be it another model (i.e. g9 vs. ixus) or the same model) some things might not work so well, for example the badpixel file - it differs from camera to camera. Also the *.edg files will at least differ from different models. We are talking about official CHDK versions (Mainly the autobuild). If you use other people's branches or experimental builds we cannot guarantee that it will work - always backup your cfgs when you switch to another (non-official-CHDK-) build! Often the cfgs are NOT compatible to each other! This does not apply to Microfunguy's SDM build - it uses another name for the cfg. Q. I can't seem to get CHDK to run on any SD card I put it on. Or after I have managed to get it working I can't get CHDK to run any scripts written for my camera! A. If you are using CHDK with a mac, go to the Mac FAQ page. All your questions regarding installation will be answered there. A. It may be a bug, especially if the CHDK port for your camera is new. But often crashes occur due to the lack of RAM, especially if you are using a camera with little available RAM such as A710IS, A630 or A570IS. Neither Canon firmware nor CHDK output errors or warnings about the lack of RAM. There are ways to conserve RAM, please read CHDK/Camera RAM memory usage for more information. A. On many cameras, CHDK always starts in play (picture review) mode when the camera is powered on by clicking the power button. In most cases, holding the power button slightly longer will start the camera in record (picture taking) mode. You can also switch from play to record mode by half pressing the shutter button at any time. A. Also known as "shooting mode", it's the camera mode that allows you to shoot (take pictures).